Laurie Mylroie: The Neocons’ favorite conspiracy theorist. rgent threat to American security. What, then, gave neoconservatives like Wolfowitz and Perle such abiding faith in their own positions? ifferent in height. On this wafer-thin foundation she builds her case that Yousef must have therefore been an Iraqi agent given access to Basit’s passport following the Iraq occupation. However, U.S. investigators say that “Yousef” and Basit are in fact one and the same person, and that the man Mylroie describes as an Iraqi agent is in fact a Pakistani with ties to al Qaeda. go on. The point is that the 1993 attack was plotted not by Iraqi intelligence, but by men who were linked to al Qaeda. 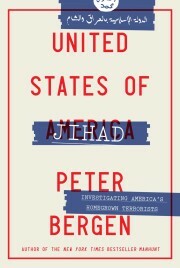 nment had by then already identified as the inspiration for several terrorist conspiracies in New York during the early ’90s and also explained that he was part of an Islamic movement which planned to carry out attacks in Saudi Arabia to avenge the arrests of Sheikh Salman al-Audah and Sheikh Safar al-Hawali, radical clerics who have profoundly influenced both bin Laden and al Qaeda. Yousef knew that he was likely facing a lifetime in prison at the time of this interview, and so had little reason to dissemble. In Study of Revenge, Mylroie is careful not to mention the substance of what Yousef said here as it demolishes her theory that he was an Iraqi agent. int Terrorism Task Force in New York, the F.B.I., the U.S. Attorney’s office in the Southern District of New York, the C.I.A., the N.S.C., and the State Department had all found no evidence implicating the Iraqi government in the first Trade Center attack. terrorists who have had us under assault for many years, but most especially on 9/11,” a demonstrably false theory that Mylroie has been vigorously touting since this past summer. eve that the senior Bush administration officials whom Mylroie knows so well could not find anyone in intelligence or law enforcement to investigate the supposed Iraqi intelligence background of the mastermind of 9/11, at the same time that 150,000 American soldiers had been sent to fight a war in Iraq under the rubric of the war on terrorism. Please.